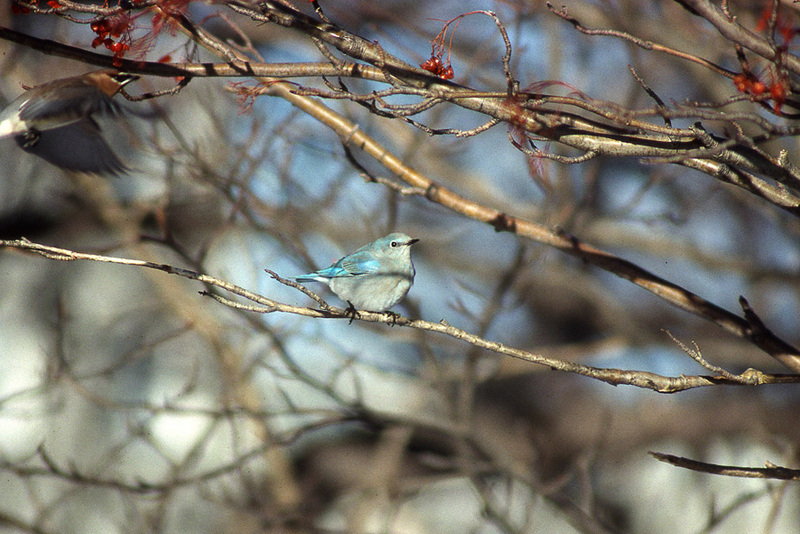 This Mountain Bluebird in St. John’s during the winter of 1994-95, represents the first record for Newfoundland of this rare western visitor. Origins: Breeds across western Canada and the United States north to Alaska, with a winter range extending well into Mexico. While rare east of the Rockies, it has occurred across the continent. Record Details: Three records for Newfoundland – all in winter: (1) St. John’s, December 1, 1994 – February 20, 1995; (2) St. John’s, December 28, 1998 – January 15, 1999; and (3) Mount Pearl, December 7, 2002.